ARTS Link Tool is a plug-in for Adobe Acrobat that extends Adobe Acrobat’s tools for editing links in PDF files. ARTS Link Tool will add a button to your toolbar that allows you to select multiple links and drag them together. Click on a link, hold down shift, and click on another link. It works just as you expect. Once you have a group of links selected, you can drag them together, align them using the alignment palette, or cut and paste them using the standard clipboard commands. After you have selected one or more links with ARTS Link Tool, you can use standard clipboard commands under the Edit menu to cut and paste links. You can quickly make multiple copies of the same link if you need several links to be all the same size. You can also paste onto other pages or into other documents. 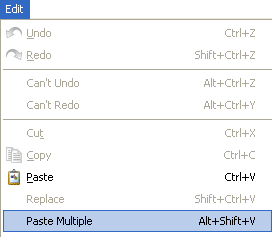 Using the Paste Multiple command, you can paste links from the clipboard throughout a document, or you can choose a starting page number and an ending page number as well as selecting between even, odd, and all. If you choose the batch button, you can paste links onto the selected page range for a batch of documents. After you have selected multiple links, you can click on the alignment palette to align them. You can choose left, center, or right alignment, or you can select top, center, or bottom alignment. If you are creating multiple links in a list or index or table of contents, this can be a quick and easy way to keep a clean layout. Change link magnification for the links in the current document or a batch of documents. Fill in a checklist of magnifications (Fixed, Fit View, Fit in Window, etc. ), and all links with that magnification will be changed to the new magnification that you select. Set Base URL in batch easily sets the base URL for a batch of documents. If any of the documents in the batch already have a base URL set, it will be changed to the new base URL. Count links will provide a quick count of the number of links in the document. If you need more powerful link counting tools to count links, widgets (form fields), and bookmarks for an individual file or a batch of files, you can use ARTS Link Checker, which is sold separately from ARTS Link Tool as part of ARTS PDF Publish Suite. “Make all notes like this” command won’t allow the colour to be changed in PDF files generated from Adobe Acrobat 4 or 5.